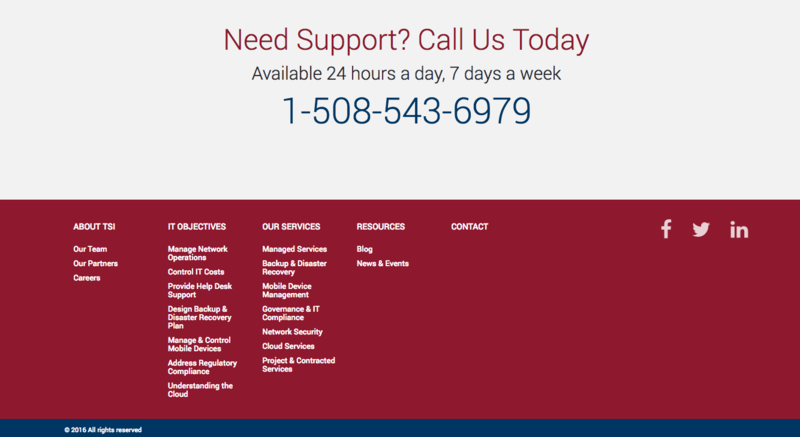 Technical Support International is a leading IT services provider in Massachusetts. 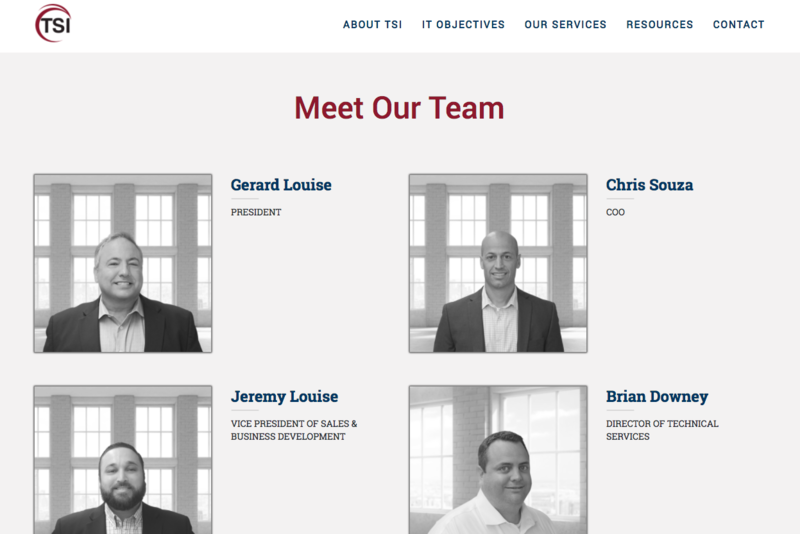 Since 1989, Technical Support International (TSI) has been a leading Managed Service Provider, proudly serving the IT support needs of hundreds of New England SMBs. They staff a dedicated and knowledgeable team of engineering support professionals that can help with a wide variety of IT related needs. 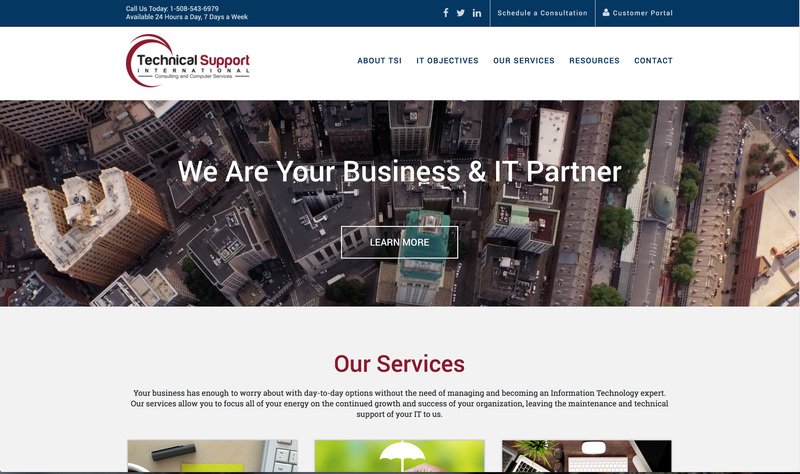 With a growing need for a stronger web presence, TSI needed a website that was modern and could scale as their business continued to grow. They needed a site in which they could easily control content so that they could become a thought leader online via a blog and other content means. Trellis designed and developed a custom theme for TSI on the WordPress platform leveraging advanced custom fields so that TSI could easily manage all their content without the need of a developer. Now TSI can change content, add blog posts, pages, and more, without ever calling or paying a developer.